T-Mobile Tuesdays next week (October 25) is all about movies, specifically the ones that you enjoy at home. Next week’s free gifts include a free movie rental. Rather than being a rental from VUDU like in the past, though, this free rental is from FandangoNOW. Specifically, you’ll get a free movie rental worth up to $5. The other free gifts next week include a free Lyft credit worth $15 and a free small Frosty from Wendy’s. The grand prize winner for next week’s T-Mobile Tuesdays will get one year’s worth of FandangoNOW movie rentals in the form of a $520 promo code. The winner will also receive a new home theater setup to watch those movies on. That setup will include a TV, surround sound system, and streaming device valued at up to $3,000. Finally, the winner will get a check for $1,509 to cover taxes and other expenses. Seventy-five first prize winners will get a $100 promo code for FandangoNOW movie rentals. These winners will also get a streaming device worth $40. Finally, 400 second prize winners will each receive a $25 FandangoNOW promo code as well as a popcorn maker worth $35. Sweet! Another $5 credit. Fandango links with UV, so I will still get the movie on my Vudu account. 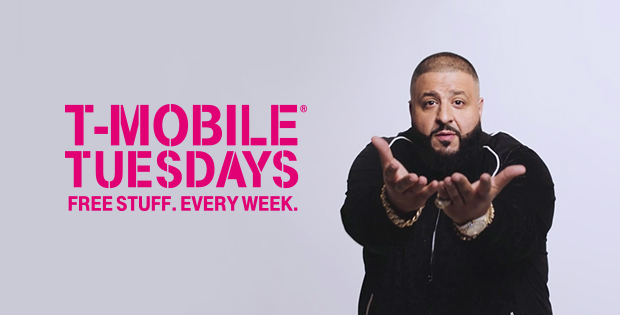 I wonder if T-Mobile Tuesday is going away soon. Got one of those T-Mobile feedback emails and it was about T-Mobile Tuesday. One of the questions they asked was if T-Mobile should continue doing it even though it costs them lots of money. The worst part is how they increased your bill and extended your contract to pay for it all! Over in Canada, Virgin Mobile (VMobile.ca/Members) doesn’t have discounts as deep as T-Mobile Tuesdays, but Virgin does offer more discounts more consistently throughout the week, not just on Tuesdays. Some examples include $10 off any Kobo book over $10, four weeks free at Goodlife Fitness (beware of auto-renew, though), 25% off at ROM and H&M, etc. John Legere missed the boat; though he offered pizza and other deals “every Tuesday”, many deals are not recurrent. The program should either stick to small deals (Frosty) or be axed. Soooo almost all fandango rentals are 5.99 and they are giving 5. At least on vudu you can select sd and not have to make up a difference lol. Hmm, not feeling the Fandangonow freebie like I did the Vudu freebie. The Vudu could be used to actually purchase movies, not just rent. You could even use the credits to do a Disk to Digital. The Fandangonow is only for rentals. And the other bad part is even if you have multiple redemptions, you can only use one per rental, so you still have to pay $0.99 to rent. You can’t combine the offers. Guess I’ll wait for the next Vudu offer.